This weekend and evening microblading certification course is specially designed for your busy schedule. This course is 4 nights and 1 weekend at our state of the art learning center in Huntington Beach, California. You will get the same quality education that our regular Microblading Courses receive. The only difference is the schedule. The class runs 3.5 hours Monday through Thursday then resumes on Saturday and continues through Sunday. 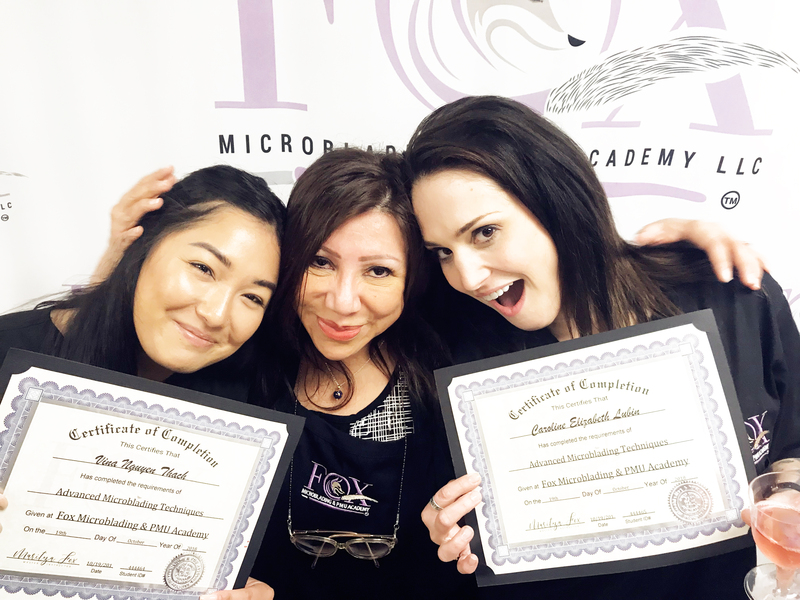 Our state of the art Microblading school in Huntington Beach is designed from the ground up to give you the best possible learning experience. Our small class sizes are guaranteed to give you the most attention from our master instructors. We won’t pack you into a crowded room with students. Get lots of hands on training with one-on-one instruction from Orange County’s top Microblading Instructors. Class sizes are limited to only 4 students. Here’s some highlights from our course. We won’t nickel and dime you to death with additional fees not included in the price. Our classes include everything needed to be successful at practicing the art of Microblading. We include all materials, certificates, inks, and supplies. In fact, you toolkit has enough supplies to last up to 20 clients. We even include your school uniform. And we won’t skimp on the quality of education that you receive. Our primary goal is to make you successful in your new career. Our students love us and models love our students. Our curriculum is designed to give you the best in class learning experience. Quality education is our passion. We consistently earn 5 star reviews from both students and models.